Born and raised in St. Louis, MO, Richard Grzelka began dancing around the age of seven. His earliest inspiration was Michael Jackson. In middle school, he was exposed to Hip Hop dance and unknowingly, Hip Hop culture. He went on to be a student at Best Talent Center where he was introduced to choreography and a plethora of other street dance styles as well as Jazz and Ballet. 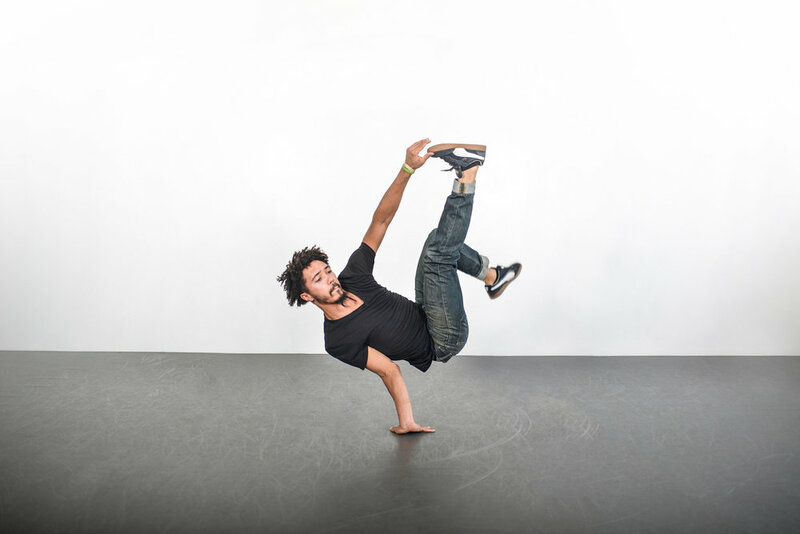 After high school, Hip Hop dance had become an area of focus and Richard began teaching himself and searching for more in the realm of bboying. Richard has won awards like S.L.U.M.F.E.S.T. Bboy of the Year, Rock and Groove Bboy and All Styles Champion, as well as Breaking Champion at CKDC's Annual Beat Kill Jam. In addition to these local awards, Richard has also battled in Kansas City, Chicago, Denver and Orlando. Battling has been Richard's focus but he has also taught bboy and Hip Hop classes at B. Elite Dance Academy, Platinum Athletics, Consuming Kinetics Dance Company, Hip Hop Scholars and St. Louis Public Library. Over the years, Richard has had the privilege to dance with many great artists and has performed for Kurtis Blow and Slick Rich. He was featured on the World of Dance website and was also featured by DanceON on the American Eagle billboard in Times Square.